China has clear intention to build charging piles/ stations for EV. Social capital, hopefully, will get a slice of this big cake, market size expected to reach >USD16.35 billion (RMB100 billion) by 2020. China will issue the Electric Vehicle Charging Infrastructure Guidelines (the Guidelines) and the supporting Guiding Opinions on Electric Vehicle Charging Infrastructure, probably in August. Now the policies, drafted in early 2015, are in the progress for issuance. 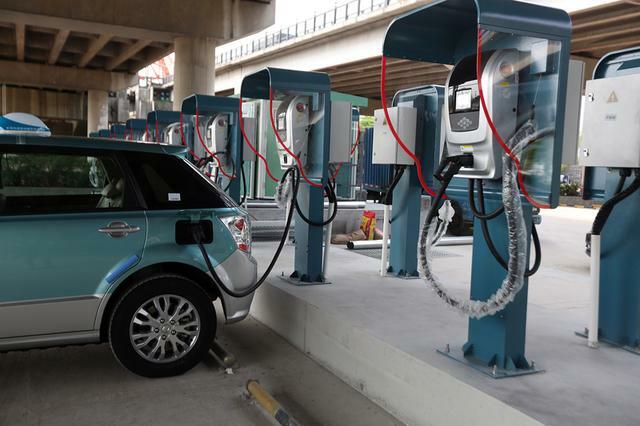 However, only 723 charging stations and 28,000 charging piles had been constructed by the end of 2014, according to statistics from China’s Ministry of Industry and Information Technology. In a move to accelerate the construction, social capital at all levels is encouraged to step into this state-level activity. Government officials said that the Guidelines had detailed who/how to construct, how to gain profit, etc., to put social capital at certain places. This, of course will prop up the skyrocketing input into the charging infrastructure market. Shenzhen Clou Electronics Co., Ltd. announced to make private placement, of which a fund of USD94.17 million (RMB576 million) was raised to be invested in the charging network – intelligence cloud platform project. Zhejiang Wanma Co., Ltd. announced to establish a JV, Shandong Tian’en New Energy Technology Co., Ltd., to take charge of the installation of charging infrastructure in Weifang City (Shandong Province). The domestic carmaker BAIC, BJEV, trading company JDWM Group and alternative-energy firm Qingdao Teld New Energy Co Ltd. established a JV, to offer EV charging service. A goal was also set to build 2,000 public charging piles across the country by the end of 2015. Tesla Motors Inc. announced to work with a Hong Kong property developer to build more charging piles at shopping malls in 6 Chinese cities. In the future, companies will continue flooding into this charging infrastructure market. Gradually, the domestic business layout will be mapped out: large-scale state-owned enterprises, including State Grid and China Southern Power Grid Company Limited, along with local governments would make deployment along the expressway, whilst private/ foreign companies would focus on municipal charging network to offer charging services to private cars, taxis and buses. Meanwhile, local governments will also take actions to respond to the central government’s appeal to construct charging infrastructure across the nation, especially big cities such as Beijing, Shanghai and Nanjing, where efforts have been continuously made to get drivers go electric. In April, Beijing announced that, from 1 June, 2015 to 10 April, 2016, BEV would not be affected by the new round of rotating car number plate bans, which restrict cars with certain number plates from being on the road between 7am and 8pm from Monday to Friday within the capital’s 5th ring road. In addition, the Electric Vehicle Charging Infrastructure Development Planning is to be issued soon, which will provide subsidy for enterprises, by around 30% of the investment.